For all those of you at my recent book launch who complained that this blog has been slacking with respect to the lunch side of matters. 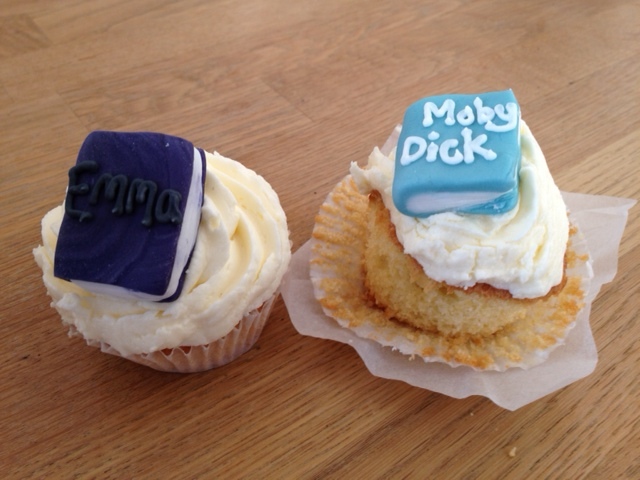 These book-themed cakes were brought to the editing course I’m doing at the moment. This entry was posted on July 12, 2012 at 2:13 pm and is filed under Fun, Lunch. You can follow any responses to this entry through the RSS 2.0 feed. You can leave a response, or trackback from your own site.